You make wine. We make labels. 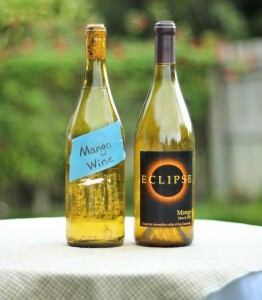 You know that I am all in favor of labeling your wine. I’ve talked many times about how personalized wine labels will make your wines more enjoyable. In fact, my opinion is custom wine labels enhance wine. In one study, wine drinkers were given a mid-range bottle of wine that was labeled as table wine. Later they were given the same wine, but this time it was labeled as Grand Cru. Another experiment took place at a nice restaurant. Participants received a complimentary glass of wine with their meal. All of the participants were served the same wine. However, some of the bottles were labeled as wine from a California winery, while the others were labeled as being from a North Dakota winery. Both of these studies make the same point: our perception of the wine inside the bottle can be greatly influenced by the label on it. Which one do you want to drink? A wine label can even influence other things around us, like how food tastes, or how well we enjoy the evening. It’s not just about the wine itself. Presentation of the bottle, including the label, also matters. Any wine that you give as a gift, bring to a party, or even serve in your home to others should have a high-quality label on it. A beautiful personalized wine label will help others enjoy your wine the same way you do. Do you care about your wine? Then put a label on it! Remember, science says: custom wine labels enhance wine. At Noontime Labels, we have hundreds of custom wine label templates to choose from. Simply visit our label gallery online and select one that suits your wine, as well as your own personality. You can personalize your wine label in just minutes, and your order will arrive at your home in a few days. Sign up for our emails so you never miss a sale or promotion! Click here now. This entry was posted in Custom Labels, Gifts, Homemade Wine and tagged Dinners, Homemade, Labels, Parties, Personalized, Wine by Noontime. Bookmark the permalink.